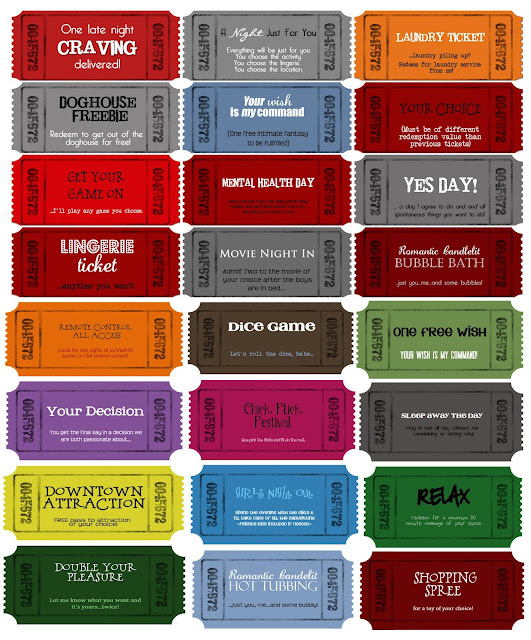 Life.Design. 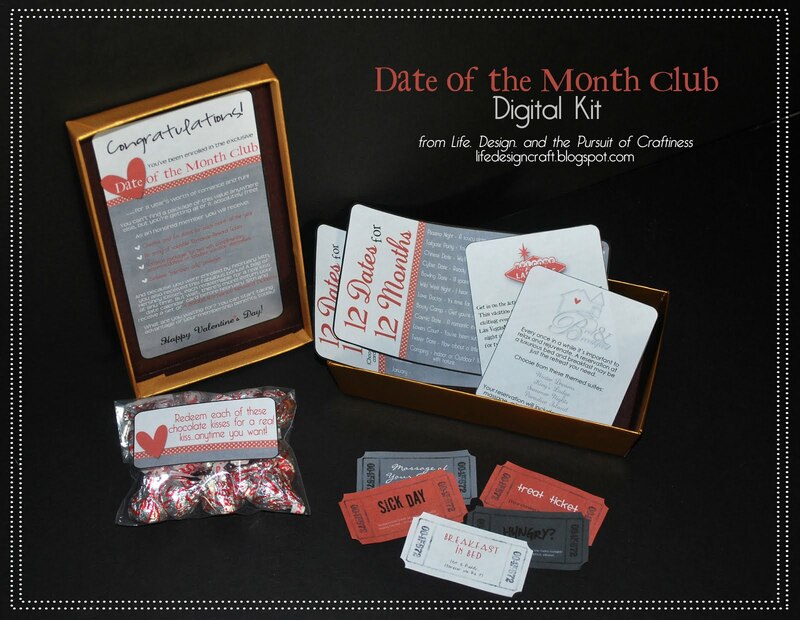 and the Pursuit of Craftiness: Perfect Vday Gift - Date of the Month Club Kit! 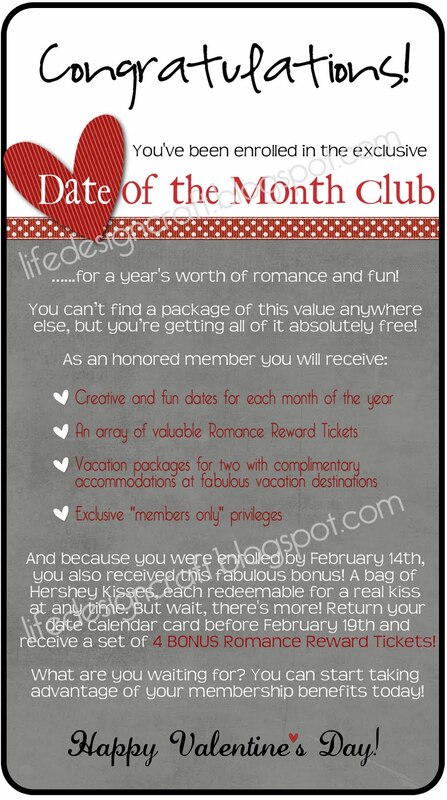 Perfect Vday Gift - Date of the Month Club Kit! 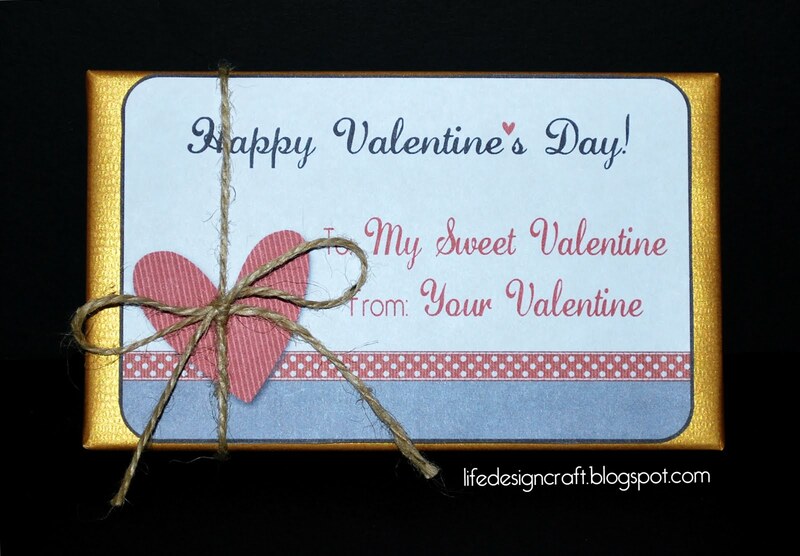 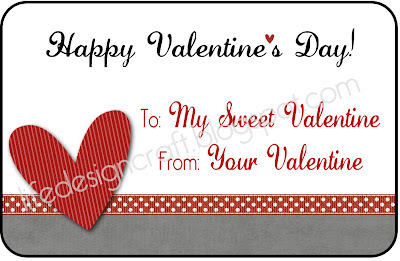 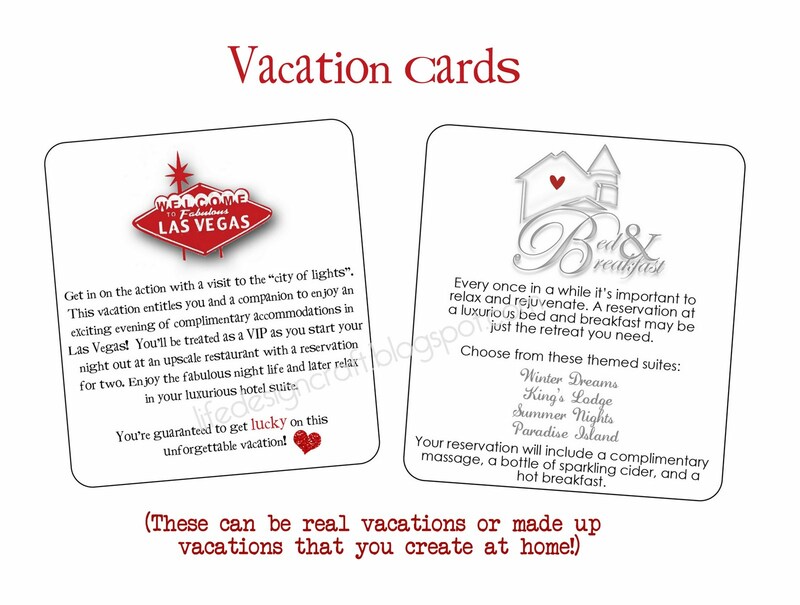 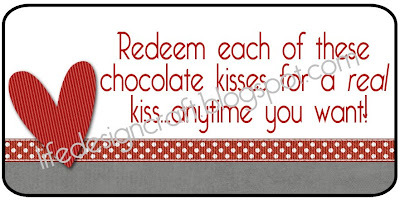 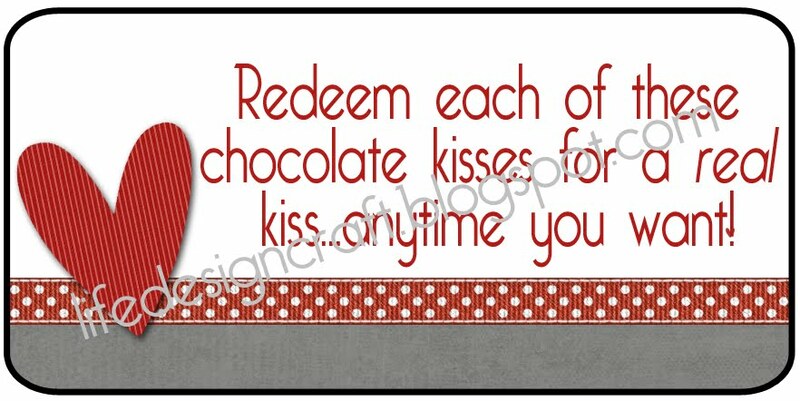 Have you realized yet that Valentine's Day is JUST around the corner... Once again, I have the perfect gift to offer you for your husband, wife, boyfriend, girlfriend, fiance... you get the idea! 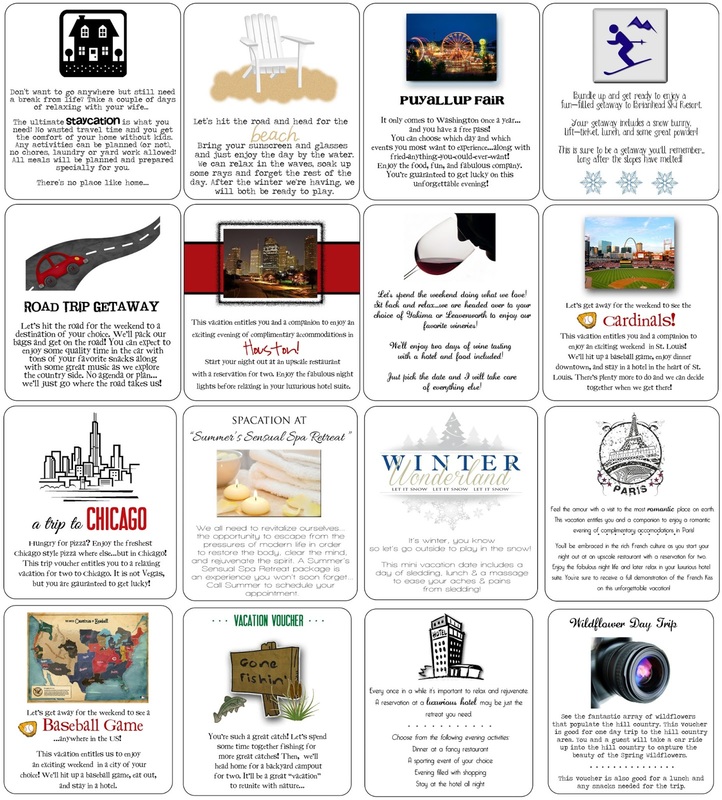 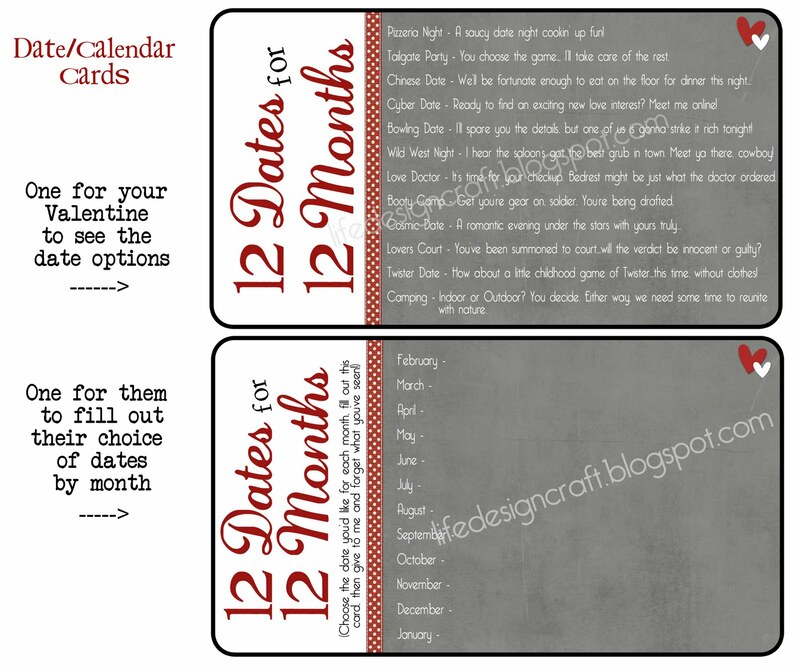 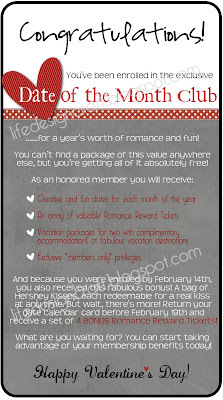 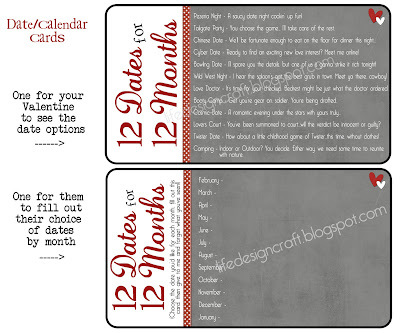 It's the Date of the Month Club Kit...a completely personalized, unique gift for your love! 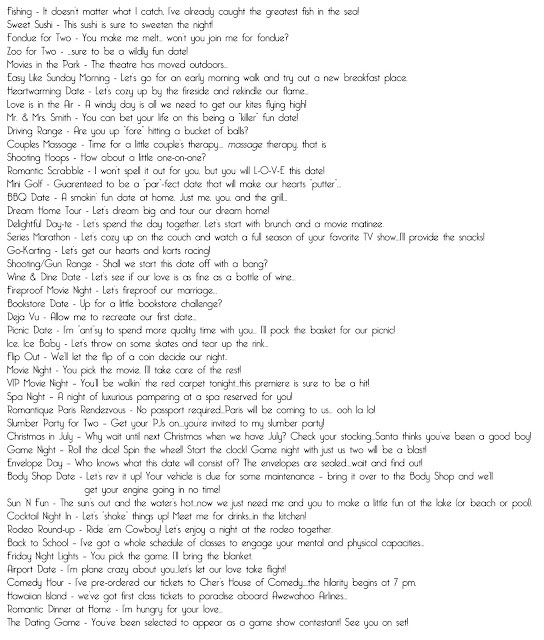 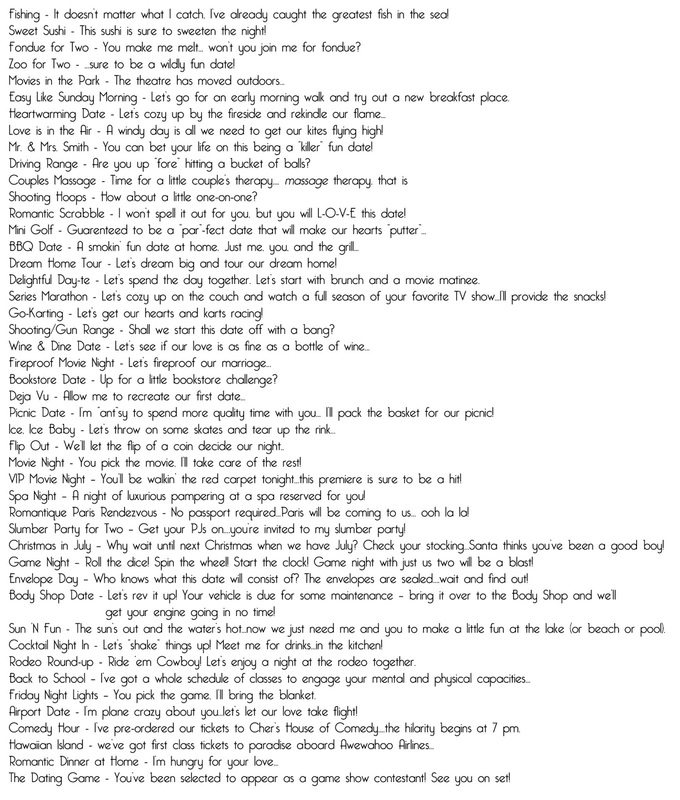 Below are examples of wording to get your mind thinking of what you'd like included in your kit. 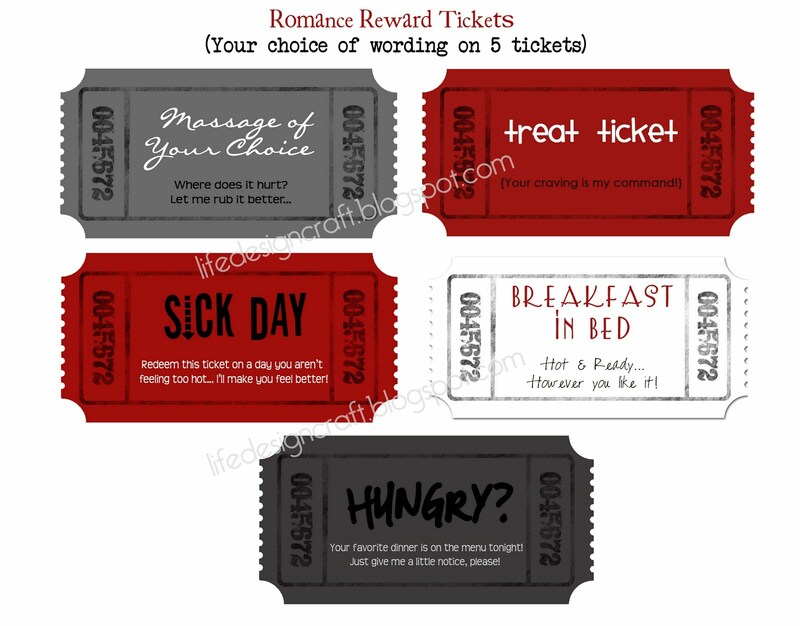 Again, these are just options...you can completely make up your own if you want!